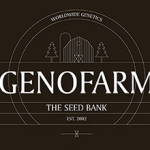 Genofarm Seeds - Best Mango. Free US delivery. Best Mango originates from the legendary clone Somango. This boutique strain conquered the palates of all connoisseurs in early 2000. With great care Genofarm crossed this with an elite clone. Best Mango remains faithful to the original clone and has new and harmonious notes of aroma. This new cross now gives vigour and stability which increases their production.Suitable for outdoor but must be protected from cold and rain. This plant is full of sweet resin production and has a euphoric effect. Very high at first leading to a sedative effect. Undoubtedly, one of the Worldwide favourites from the Genofarm armoury.